CAMBRIDGE, UNITED KINGDOM – Aniken Graphics is pleased to announce that Flexographic Solutions S.L., has signed a contract for the multi-award-winning Bellissima DMS flexo software. 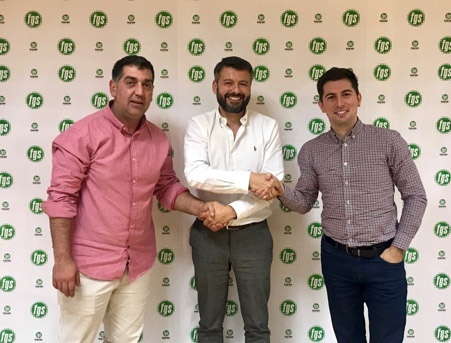 Through this contract, FGS becomes the exclusive Bellissima DMS trade-shop partner for Spain and Portugal covering the wide web and corrugated markets. “Once we started evaluating the Bellissima DMS technology and seeing the results on press we knew we were working with something really special” comments Joan Rodriguez, Technical Director of FGS. “To make flexo output look better is easy. However, to deliver genuine commercial benefits: reduced costs and process waste, increased productivity and the ability to compete with digital, rotogravure and offset on image-fidelity, is much harder. With Bellissima, we can empower the flexographic industry in a way which was previously unimaginable. We are transforming the image of flexo and FGS have a not-so-secret weapon in their armory”. Cave concludes. “Gone are the days of the ‘secret sauce’ mentality, the flexographic print industry must unite and collaborate using the best of breed technologies available. Using Bellissima DMS screening in conjunction with Apex GTT 2.0, we deliver unrivaled quality and enable exceptional print consistency; we deliver on ECG / fixed palette, we achieve the fades to zero and, additionally, we help overcome the obstacles typically faced to date by flexographic plate-makers and printers. We’ve armed them with a solution to win business from gravure and offset, to reduce their costs as well as those of their customers, and to elevate “flexo” to be the premier print process for the future. The combined technologies of the screen, plate and anilox are delivering the results for the forward-thinking flexo trailblazers like FGS” concludes Harvey. “MacDermid Graphics Solutions have worked closely with FGS for the last five years, and they were one of the early adopters of our LUX® ITP™ plate technology platform. They have always been a leader in bringing innovation to the markets they serve so the news regarding Bellissima comes as no surprise”, said Christian Quiot, Regional Sales Manager of MacDermid Graphic Solutions. “I recall the first samples I saw from FGS using Bellissima were outstanding. I’m certain that they will further widen their solution into other sectors of the market quickly with Bellissima,” added Andy Beesley, Sales Director EMEAR of MacDermid Graphics Solutions. Hamillroad Software is a global supplier of software solutions for the prepress industry. Hamillroad solutions help customers save time and money during all stages of the printing process while also improving the final printed image fidelity. Hamillroad Software specializes in Digitally Modulated Screening which provides unparalleled screening technology for Lithographic (Auraia DMS) and Flexographic (Bellissima DMS) printing. The FirstPROOF solution allows users to simulate errors which may occur on press before plates are made. It helps users save valuable time and money during the pre-press process. In addition, their Lightning Plugins work with the Harlequin RIP to improve the output speed of TIFF, PDF or LEN files by up to 4-10x or more, making the prepress screening (RIP output) process faster and more efficient. Flexographic Solutions S.L. ''FGS'' is a company specialized in flexographic avantgarde prepress. Producing direct engraving sleeves and best quality plates. Offering add value services with personal consulting, service for advanced workflow automation and process management. A renewed and avant-garde company, which has the support and experience of a team of professionals with more than 20 years in the flexographic sector in the most important companies and pioneers in our country. Brand Owners and top printers industry are those who have bet on this new Project, which positions us to master the challenges of today’s globalization, in the midst of a market as demanding as competitive, we work to be the greatest reference of our sector. Learn more at www.fgs.es. ©2018 Aniken Graphics International LLP. All rights reserved. All brand names are the property of their respective owners and may or may not be trade-marked.